TransportiCA: TransportiCA Book Club - July 2016: "Railtown" by Ethan Elkind. Why this book? TransportiCA Book Club - July 2016: "Railtown" by Ethan Elkind. Why this book? This contest has now ended; thank you for your participation, and feel free to visit our August 2016 book club selection. User the code "15W5487" to obtain a 30% discount for purchasing Railtown at UC Press. 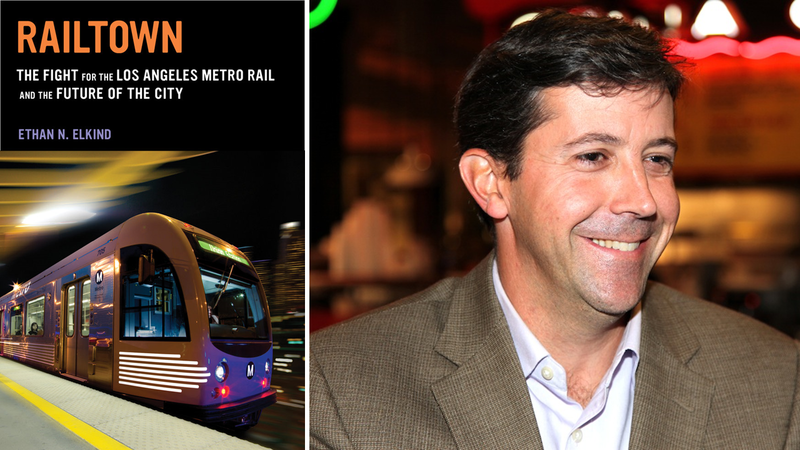 As our introductory book club reading, TransportiCA has chosen "Railtown: The Fight for the Los Angeles Metro Rail and the Future of the City," by Berkeley+UCLA law professor Ethan N. Elkind, J.D. 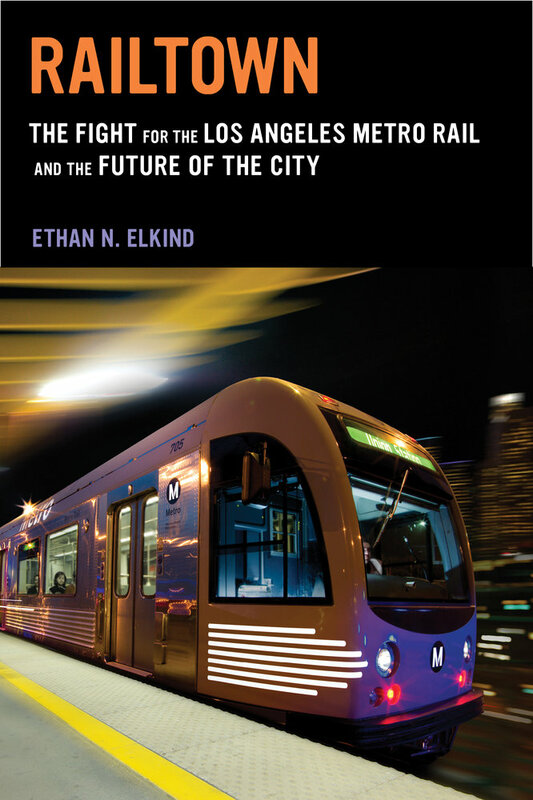 Prof. Elkind's book details the history of LA's modern rail system (subway and light / commuter rail), and the fight that pursued - and continues - to bring back this mobility to a region once home to the largest streetcar system in the world. Further, as LA County citizens consider a proposed permanent transportation sales tax on November's ballot, interest in streamlining construction of LA's planned light rail system has exploded, also following this year's openings of the Expo Line extension to Santa Monica from Downtown LA, and the Gold Line extension from Pasadena to Azusa. In addition, the organization MoveLA has also gathered incredible interest and support with the proposed ballot measure - a.k.a., "Measure R2" - with its striking visuals contained in their proposal to reduce traffic. As Angelenos contemplate the future of Metro rail, we recommend citizens should also become educated in LA's modern rail history, and no other book details this as thoroughly and educationally as Railtown. For these reasons, TransportiCA is excited to select Prof. Elkind's publication as our introductory reading. Below is further information about the book, including its many praises by academics, journalists, transportation professionals and other notable authors, just to name a few. To order Railtown, please visit the UC Press webpage, and Chapter 1 is provided, compliments of UC Press. Ethan Elkind [J.D.] is the Associate Director of the Climate Change and Business Program, with a joint appointment at UC Berkeley School of Law and UCLA School of Law. In this capacity, he serves as the lead author of UCLA-UC Berkeley’s grant-funded series of policy reports on business solutions to combat climate change. He also researches and writes on the California Environmental Quality Act (CEQA), climate change law, environmental justice, and other environmental and energy law topics. His book Railtown: The Fight for the Los Angeles Metro Rail and the Future of the City was published by University of California Press in January 2014. Previously, Elkind taught at UCLA Law School’s Frank Wells Environmental Law Clinic and served as an environmental law research fellow. In 2005, he co-founded The Nakwatsvewat Institute, Inc., a Native American nonprofit organization that provides alternative dispute resolution services and support for tribal governance, justice and educational institutions. Is Rail Worth It, 27(1) UC Berkeley Planning Journal (2014). Reuse and Repower: How to Save Money and Clean the Grid with Second-Life Electric Vehicle Batteries, UC Berkeley/UCLA Schools of Law, Bank of America Policy Paper (September 2014). Infill Planning Template for the Governor’s Office of Planning and Research’s California Environmental Quality Act Guidelines of 2014 (with Christopher Williams), UC Berkeley School of Law (September 2014). Renewable Energy Planning Template for the Governor’s Office of Planning and Research’s California Environmental Quality Act Guidelines of 2014 (with Christopher Williams), UC Berkeley School of Law (September 2014). Back in the Fast Lane: How to Speed Public. Transit Planning & Construction in California, UCLA School of Law, Pritzker Brief No. 6 (August 2014). Renewable Energy Beyond 2020: Next Steps for California, UC Berkeley/UCLA Schools of Law, Bank of America Policy Paper (November 2013). Electric Vehicle Paradise: How Hawai'i Can Lead the World in Deployment (with Anne Ku), UC Berkeley Law/University of Hawai'i, Maui College(September 2013). A High Speed Foundation: How to Build a Better California Around High Speed Rail, UC Berkeley/UCLA Schools of Law, Bank of America Policy Paper(August 2013). Electric Drive by ‘25: How California Can Catalyze Mass Adoption of Electric Vehicles by 2025, UC Berkeley/UCLA Schools of Law, Bank of America Policy Paper (September 2012). 2020 Strategic Analysis of Energy Storage in California. 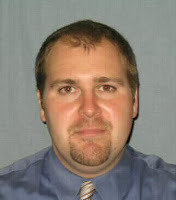 Principal investigator and co-author with researchers from the University of California, Berkeley School of Law, University of California, Los Angeles, and University of California, San Diego California Energy Commission, Public Interest Energy Research (PIER) Program (November 2011). Harvesting Clean Energy: How California Can Deploy Large-Scale Renewable Energy Projects on Appropriate Farmland, UC Berkeley/UCLA Schools of Law, Bank of America Policy Paper (October 2011). All Aboard: How California Can Increase Investments in Public Transit, UC Berkeley/UCLA Schools of Law, Bank of America Policy Paper (July 2011). Drops of Energy: Conserving Urban Water in California to Reduce Greenhouse Gas Emissions, Emissions UC Berkeley/UCLA Schools of Law, Bank of America Policy Paper (May 2011). California at the Crossroads: Proposition 23, AB 32, and Climate Change (with Daniel Farber, Richard Frank, Michael Hanemann, Daniel Kammen, Anna Kantenbacher, and Steven Weissman), UC Berkeley School of Law, Center for Law Energy and the Environment White Paper (September 2010). The Power of Energy Storage: How to Increase Deployment in California to Reduce Greenhouse Gas Emissions, UC Berkeley/UCLA Schools of Law, Bank of America Policy Paper (July 2010). Plan for the Future: How Local Governments Can Help Implement California’s New Land Use and Climate Change Legislation, UC Berkeley/UCLA Schools of Law, Bank of America Policy Paper (July 2010). Room to Grow: How California Agriculture Can Help Reduce Greenhouse Gas Emissions, UC Berkeley/UCLA Schools of Law, Bank of America Policy Paper(March 2010). Saving Energy: How to Increase Renewable Energy Production on Big Buildings and Other Local Spaces, UC Berkeley/UCLA Schools of Law, Bank of America Policy Paper (May 2010). In Our Backyard: How to Increase Renewable Energy Production on Big Buildings and Other Local Spaces, UC Berkeley/UCLA Schools of Law, Bank of America Policy Paper (December 2009). Removing the Roadblocks: How to Make Sustainable Development Happen Now, UC Berkeley/UCLA Schools of Law, Bank of America Policy Paper (August 2009). Falling Flat: Why the CEQA Affordable Housing Exemptions Have Not Been Effective (with Edward Stone), UCLA School of Law, Frankel Environmental Law and Policy Center, Working Paper #2 (Spring 2006). Even Without Tesla, Electric Car Batteries Can Boost State, Sacramento Bee (September 17, 2014). California's Slow Ride to New Transit, San Francisco Chronicle (August 6, 2014). Rail Alone Can't Reinvent L.A., LA Times (January 27, 2014). Making Sure Renewable Energy Produces Clean Energy, Sacramento Bee (November 24, 2013). Fannie and Freddie Delinquent on Climate Change and Clean Energy, San Jose Mercury News (June 17, 2010). Backyard Renewables (with Steven Weissman), San Jose Mercury News (January 15, 2010). The Clean Energy Potential in our Backyard (with Assemblywoman Nancy Skinner), San Francisco Chronicle (December 2009). Walk This Way: Urge Sustainable Development (with Assemblyman Jared Huffman), San Francisco Chronicle (August 30, 2009). Mediation on the Hopi Indian Reservation, ACResolution, Association for Conflict Resolution Magazine (Winter 2009).